The coins were authorized on October 19, 1998. 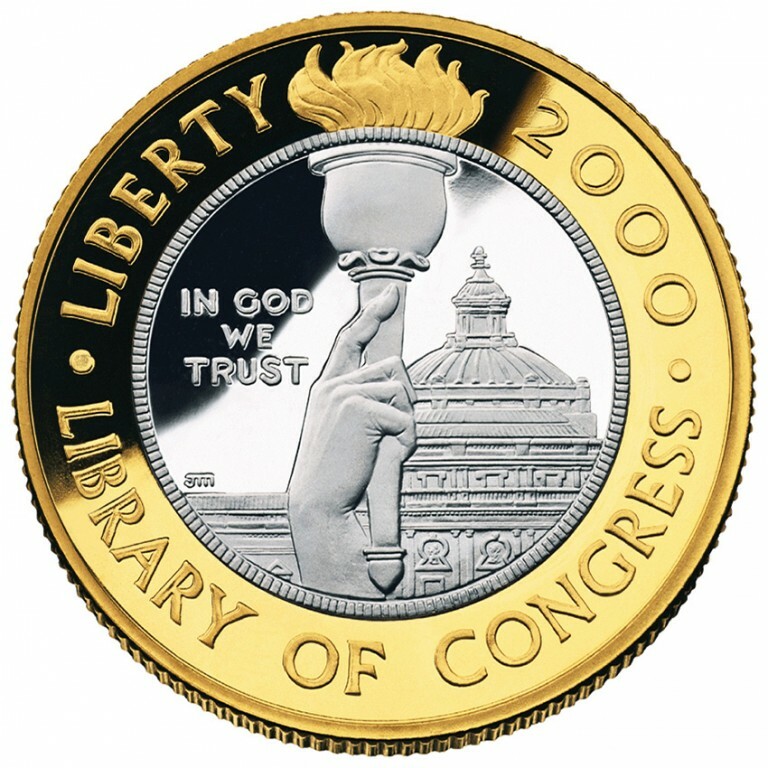 A portion of the proceeds from each coin's sale benefited the Library of Congress Trust Fund Board to help support outreach programs to make the Library's collection available to all Americans. These commemorative coins are called the coins of many firsts. The first commemorative coins of the new Century, they are also the first-ever gold and platinum bi-metallic coins in the nation's history. For the bi-metallic version, the outer ring is stamped from a sheet of gold, then a solid core of platinum is placed within the ring. The coins contain about one-half an ounce of precious metal. 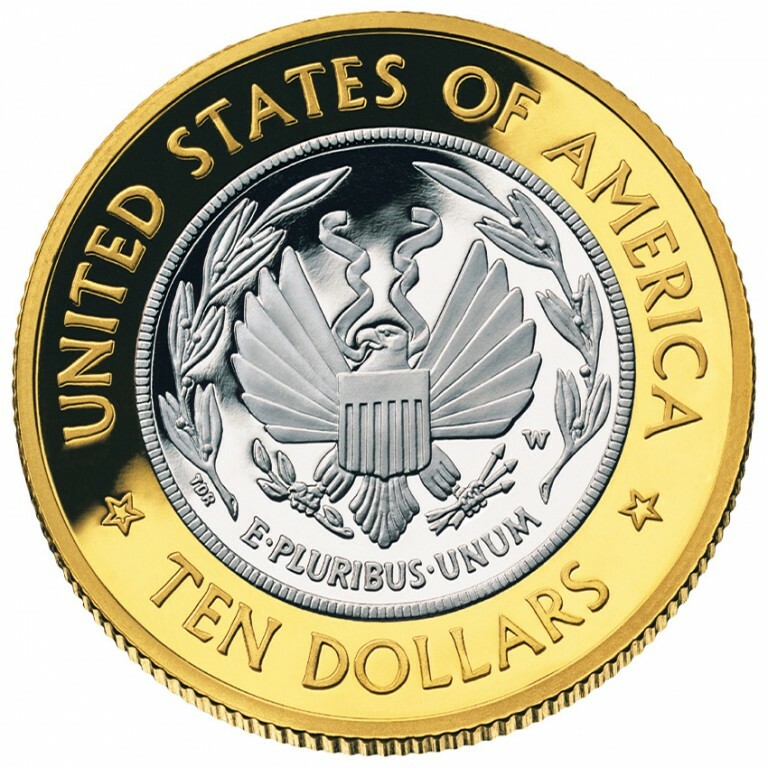 The bi-metallic obverse coin features the hand of Minerva, Roman goddess of wisdom, holding the Torch of Learning with the Jefferson building dome in the background. The reverse shows the Library's seal. The hand of Minerva raises the torch of learning over the Jefferson Building. A laurel wreath encircles the Seal of the Library of Congress. Designer: Thomas D. Rogers Sr.